You may have noticed that I've taken a fair few city breaks over the past year; in fact, I've averaged out to visiting the airport at least once a month. Taking more trips has meant that I've had to learn to be a little savvier with my money and budget as much as possible. Over the past year, I've finally nailed the art of travelling 'hand luggage only', which for an extravagant and not-so-light packer like myself is an achievement to be applauded. Long gone are the days of me travelling for a long weekend in Amsterdam with a 20kg hold luggage bag, much to the frustration of my very patient boyfriend. Owning a good quality cabin luggage bag is a worthwhile investment for me considering how frequently I travel. Whilst I do own a four-wheeled cabin-sized suitcase, I found that sometimes when travelling with budget airlines - I'm looking at you, Ryanair - my suitcase was often end up being taken away to be stored in the hold anyway whilst James' rucksack would still be allowed on board. Obviously, when you don't have your bags taken away from you at the gates and you're allowed to take them onto the flight with you, it makes the entire process after landing so much quicker and more convenient as there's no waiting around at the luggage carousel and praying that your bag made it to the other side. Also, dragging a suitcase along can be a pain, especially if there are cobbled streets involved. Flashback to me having to drag my suitcase from our Airbnb in Copenhagen a mile down the bumpiest road ever to the luggage storage facilities. I was pretty ready to welcome a new luggage addition into my travel baggage collection and this time I was on the lookout for a rucksack. 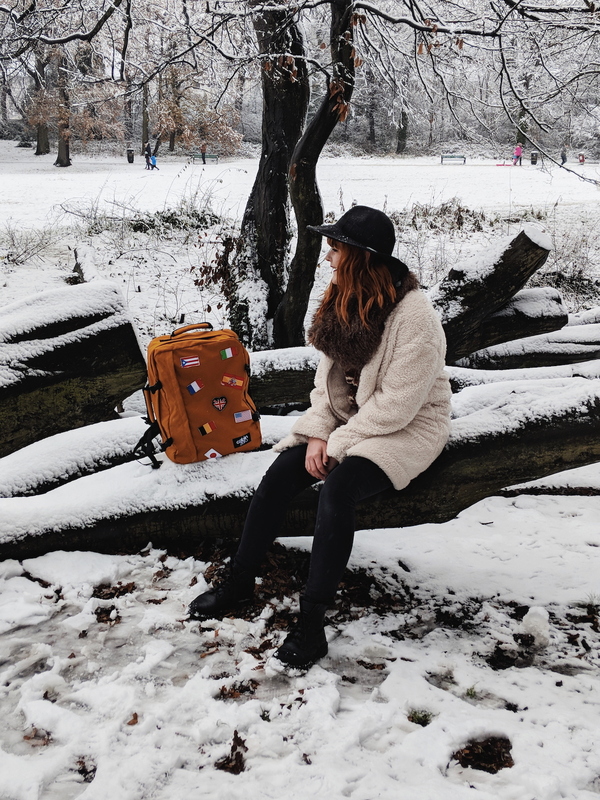 Enter CabinZero, the rucksacks that seem to be favoured with travel bloggers all over Instagram right now and I'm no exception - sorry 'bout it! It's accompanied me on two trips so far, including to Berlin and Gdańsk, so I wanted to give y'all a rundown of my thoughts so far on it. There are two different styles of CabinZero travel bags available over on their website - the 'classic' and the 'vintage'. 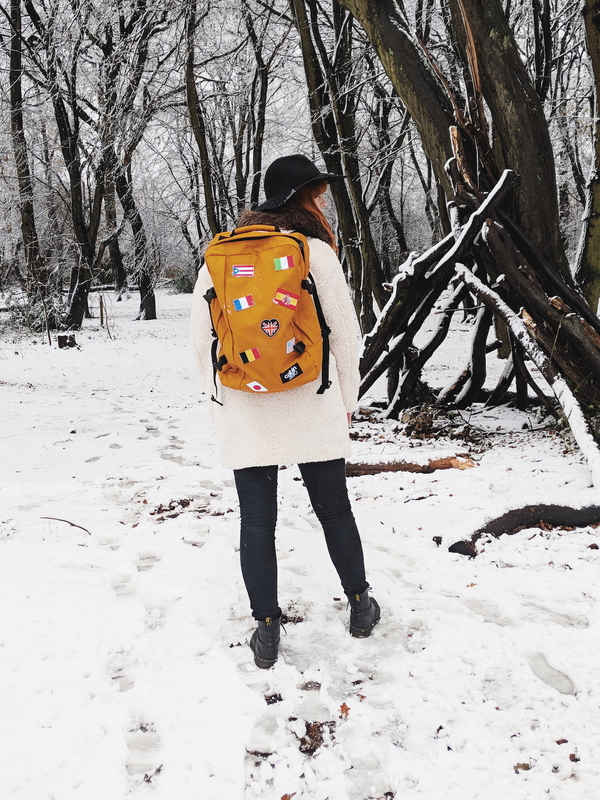 They also have an adventure collection, which is a selection of more resilient bags that are designed specifically for more adventure-based trips rather than city breaks. 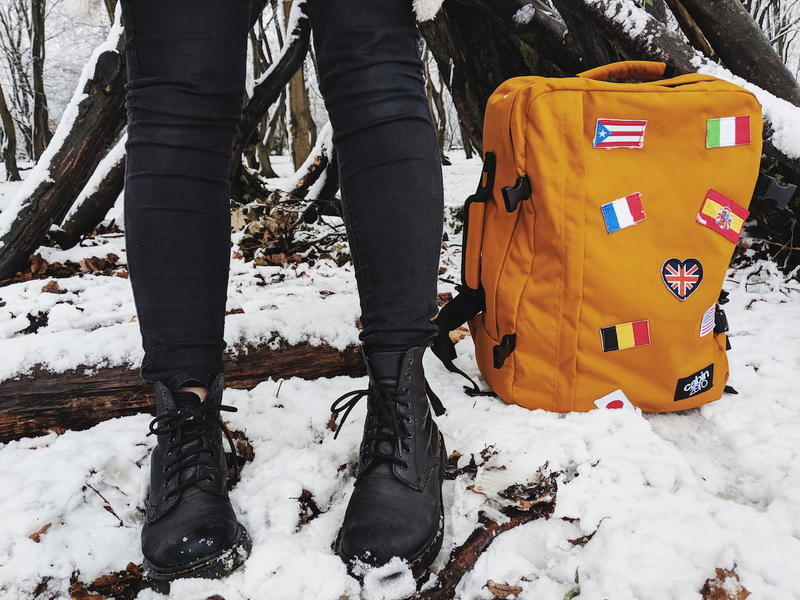 However, I opted for a Classic 44-litre rucksack in 'Orange Chill Flags'*, which is actually more mustard in colour and is decorated with cute little flag patches. The bag weighs in at just 0.76kg and measures 51 X 36 X 19 cm, which meets most airline specifications. So far, I've travelled on budget airlines, Ryanair and Wow Air, with my CabinZero bags and I've not had a problem bringing my bag on board. Due to the soft fabric that the bag is made from, it is quite adaptable when it's squeezed into any sort of small space, unlike a hard-shell suitcase. It's quite surprising just how much stuff I have managed to fit into my CabinZero rucksack; for both weekend trips I've managed to fit more than enough clothes, extra shoes, toiletries, my cameras and an extra bag to use on a day-to-day basis inside! I often use my packing squares inside the bag to utilise the space and organisation even further. In terms of compartments, the bag has the one main rectangular compartment, three inner pockets and a huge front pocket that's almost the same height and width as the inner compartment. The zips to the main compartment zip almost all the way to the bottom of the bag making it so much easier to access items that you have packed at the bottom of the bag. If you're a little security conscious like myself then you'll be happy to know that there are also two buckle straps on either side of the bag that you can clip over the zip making it harder for someone to get into your bag whilst you're unaware. 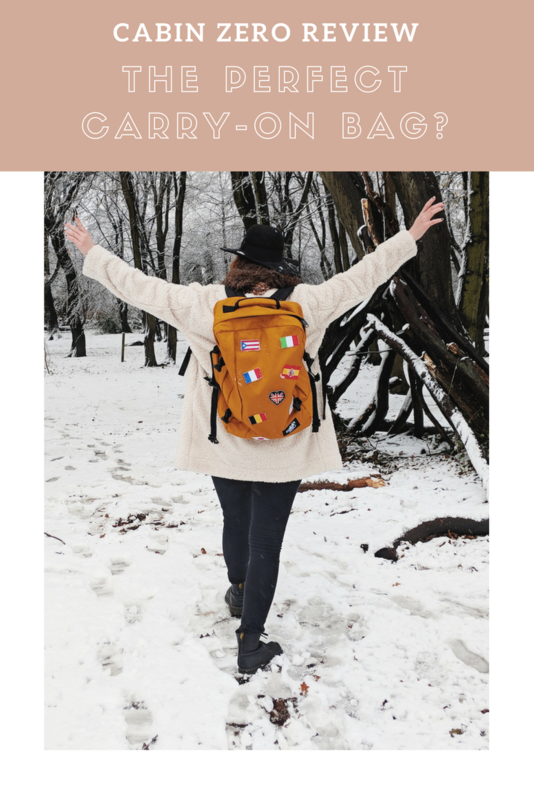 As well as a carry handle on the top of the bag like a traditional rucksack, there is also one on the side meaning you can just grab it like you would a briefcase for when you can't be bothered to put it on your back. 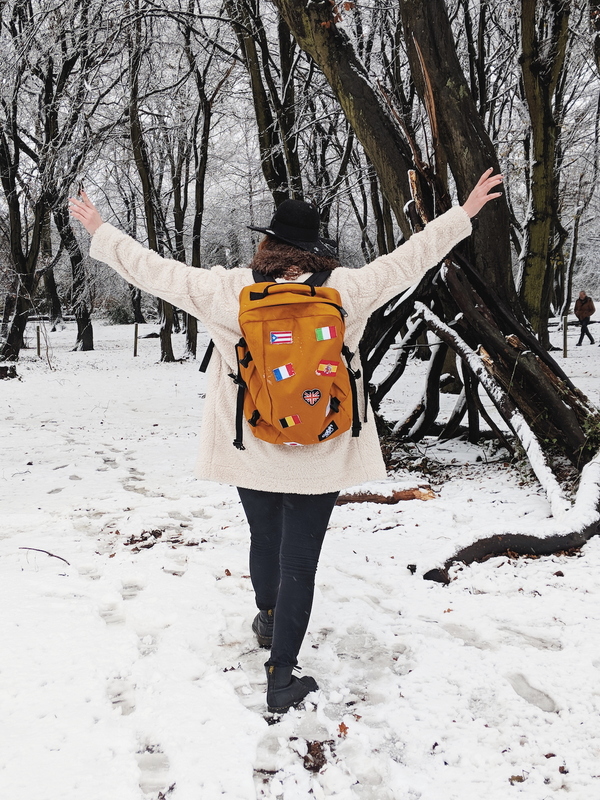 The over-the-shoulder, rucksack straps are thick and sturdy with sufficient padding meaning that they don't cut into your shoulders when you're carrying a heavy load on your back. Unfortunately after a few hours I did find that my back was hurting a little and I found myself wishing it had a chest strap to balance the weight, much like traditional hiking and adventure rucksacks. The bag also comes with a built-in global tracker, powered by Okoban, which means every bag comes with a tag that has it's own unique identification number. Every bag also comes with a 10-year guarantee, which is upgradable to 25 years if you just 'like' their page on Facebook - sounds like a fair deal, right?! CabinZero ship worldwide or as they put it, 'WE SHIP TO EVERY COUNTRY ON THIS BEAUTIFUL PLANET'. CabinZero are also big on social responsibility and are incredibly against sweat shop practices. During production they try to limit their environmental impact and produce long-lasting, strong bags that will pretty much accompany you on your travels for the rest of your lifespan. The 44-litre classic travel bag retails at £60 but for the quality of the product and the amount of use I'm sure to get out of it, it's definitely a worthwhile investment. It'll be accompanying me to Lisbon next month and many more trips throughout the years! 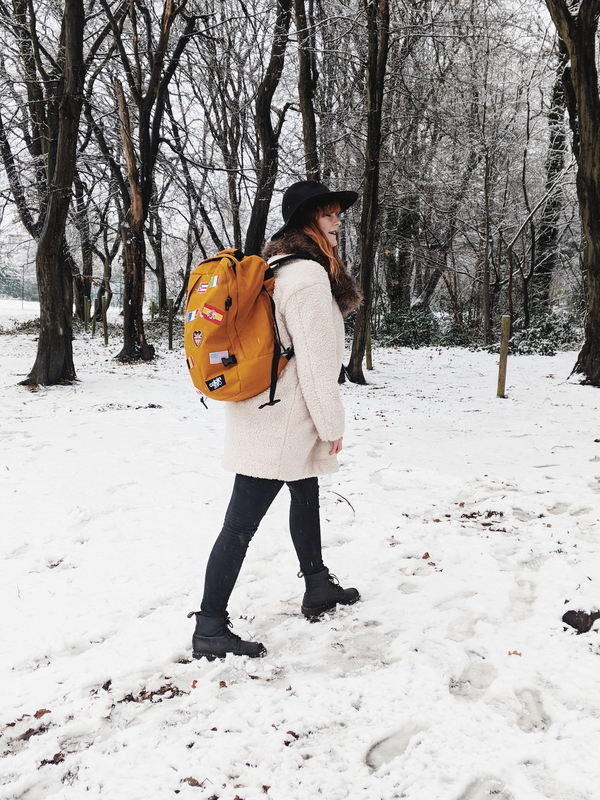 Disclaimer: I was sent a complimentary CabinZero rucksack in exchange for an honest review. All words are my own. 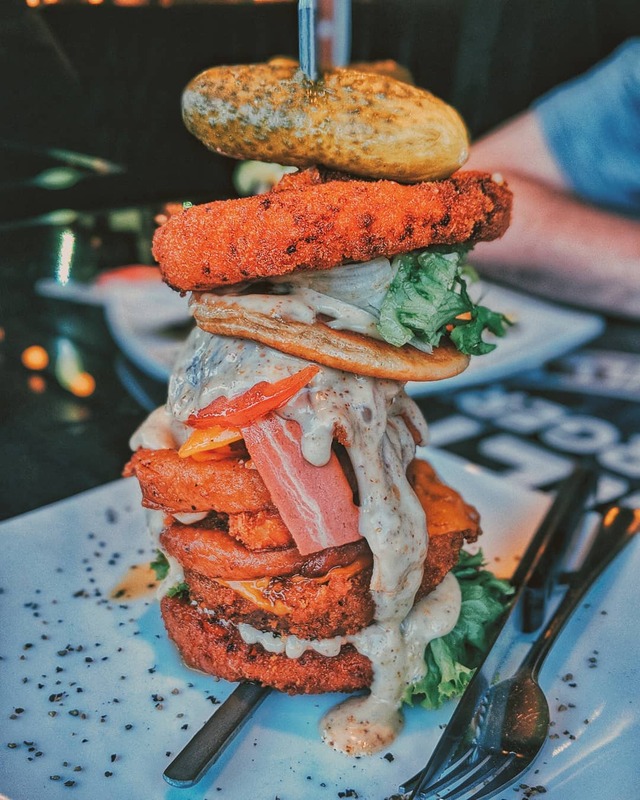 This looks ideal! I hate it when Easyjet and Ryanair put your luggage in the hold, they make out as if they're doing you a favour when in fact it's just extra hassle. I know, right? The way they're like, "We'll put your bag in the hold COMPLETELY FREE OF CHARGE" like it's your lucky day and it's actually a pain in the arse! Ahh I love my CabinZero bag - I managed to get all my things for four days in Iceland into it, am super impressed with how spacious they are! No way! 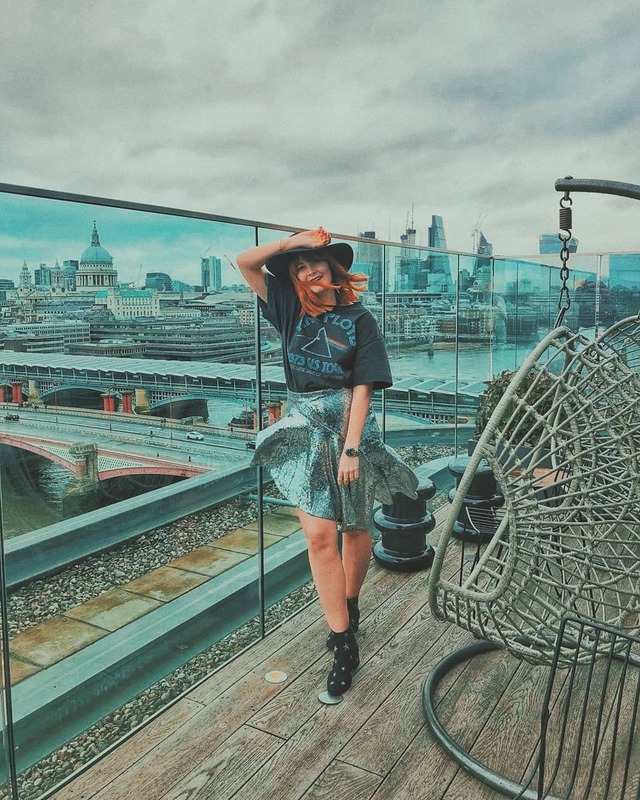 When I went to Iceland I was totally guilty of bringing a 20kg suitcase with me too which was filled with jumpers & thermals, but then again, I wore the same thing day-in-day-out in Iceland so maybe I could get away with just the CabinZero bag too!